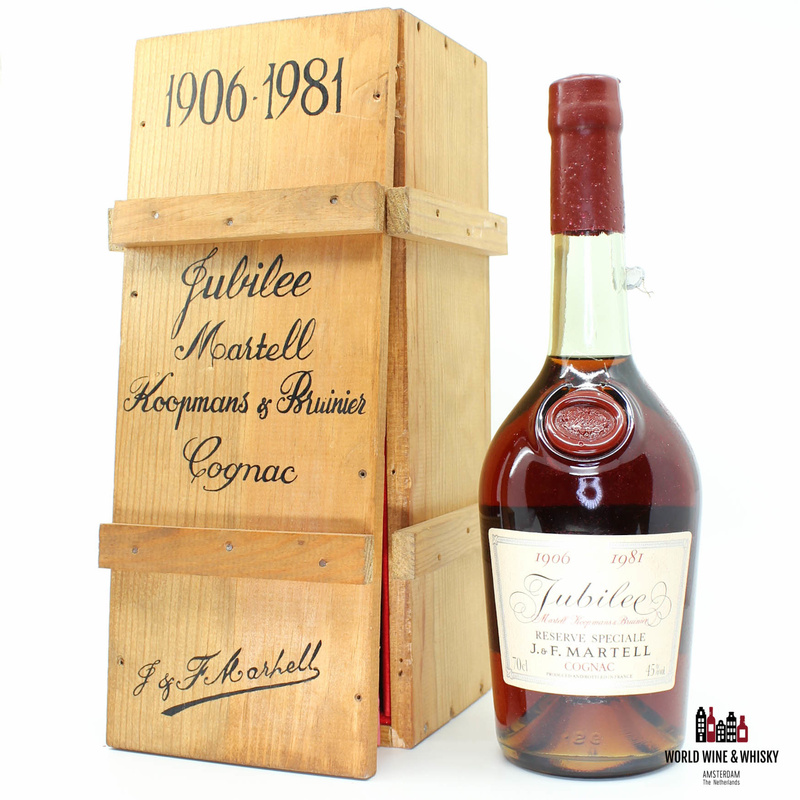 J & F Martell 1906 1981 Reserve Special - 75th Jubilee Martell Koopmans & Bruinier Cognac 45%. Martell has selected a very rare and old eaux-de-vie from his paradise to make this cognac, for the 75th Anniversary of the collaboration between Maison Martell and Koopmans & Bruinier. Only 600 bottles of this exceptional cognac have been produced, all numbered from 1 to 600. From 1981, the bottle has been handled and stored with the greatest care, so it’s in absolutely mint condition!